"The Concept of Order of Conflict in Requirements Engineering"
"Metrics for BPEL Process Reusability Analysis in a Workflow System"
"Shock Propagation in Cascade Systems: Analysis and Applications"
"An Iterative Multiarea State Estimation Approach Using Area Slack Bus Adjustment"
"Coordinated Control of Wind Turbine Blade Pitch Angle and PHEVs Using MPCs for Load Frequency Control of Microgrid"
"Impacts of Ramp Rate Limits on Oligopolistic Opportunities in Electricity Markets"
"Bayesian Updating of the Price Elasticity of Uncertain Demand"
"SCout: Prying Into Supply Chains via a Public Query Interface"
"Benefits of Demand Response on Operation of Distribution Networks: A Case Study"
"Green Cooperative Cognitive Radio: A Multiobjective Optimization Paradigm"
View the latest report of the activities of the Analytics and Risk Technical Committee. We welcome the IEEE Computer Society as the newest Member Society of the IEEE Systems Council. We hope you all enjoyed Orlando a couple of weeks ago at the 2016 IEEE SysCon! Technical meetings associated with SysCon's technical business were held during SysCon. 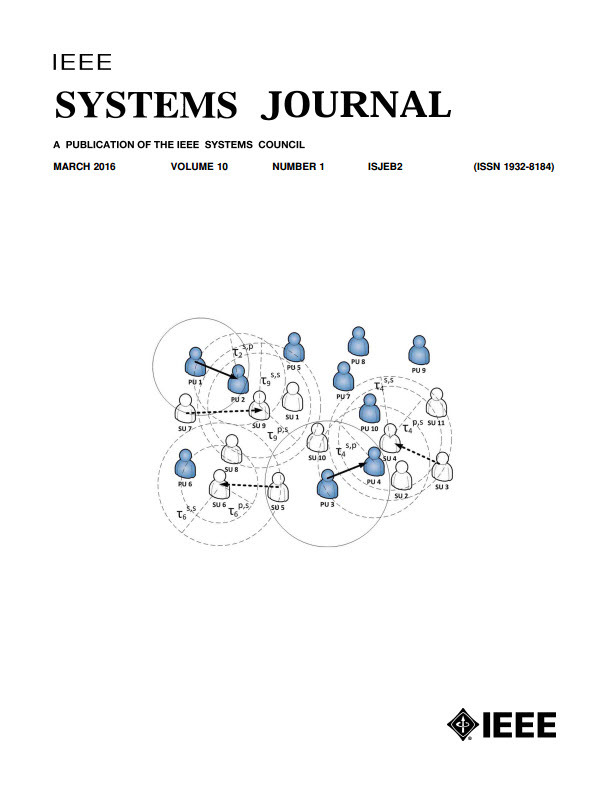 The technical committees of the IEEE Systems Council need and want your help. When you engage in these technical forums you will find others with similar goals. As an experienced engineer, you already know the importance of collaboration. If you would like to lead a project, let us know how we can help. If you would like to dive into some systems analysis and you were unable to check out the conference Workshop, there is another session scheduled in Edinburgh, Scotland later this year. On behalf of the Technical Committees, we hope to hear from you. Please contact Roger Oliva for more information. 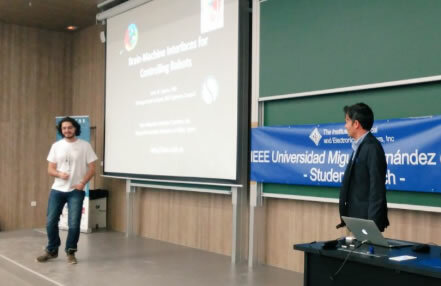 José M. Azorin, Distinguished Lecturer of the IEEE Systems Council, delivered a lecture on Brain-Machine Interfaces for Controlling Robots at the Spanish National Congress of IEEE Student Branches in Elche (Spain) on 8 April 2016. The talk described different non-invasive Brain-Machine Interfaces (BMIs) that have been developed at Miguel Hernandez University of Elche (Spain) to interact with exoskeletons. The first part of the talk focused on introducing BMI systems. In the second part, several BMIs that allow controlling robots were explained. Finally, different BMI systems that have developed to control robotic exoskeletons for rehabilitation of the upper limb and the lower limb were described. José is the Director of the Brain-Machine Interface Systems Lab and Associate Professor of the Systems Engineering and Automation Department at Miguel Hernández University of Elche (Spain). 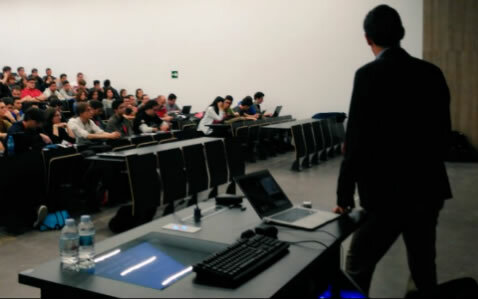 He holds an M.Sc in Computer Science from the University of Alicante (1997, Spain) and a Ph.D. in Telerobotics by the Miguel Hernández University of Elche (2003, Spain). His current research interests are Brain-Computer Interfaces, Neuro-robotics, Assistive Robotics and Rehabilitation Robotics. Over the last 10 years, his research has been funded by prestigious grants from the European Union and other Spanish government agencies. He has been the PI of more than 10 research projects. He has directed the research of more than 35 PhD/MS students. His research has resulted in more than 150 technical papers and 3 patents. 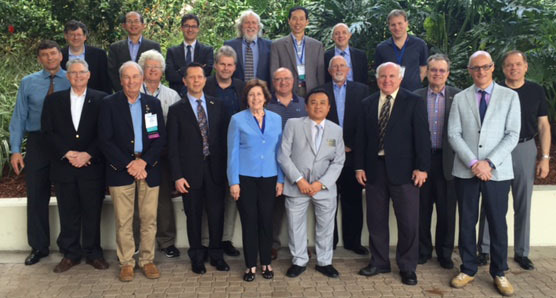 The Systems Council AdCom was held 21 April 2016 in Orlando, FL, USA. This meeting was held in conjunction with the 10th Annual IEEE International Systems Conference.